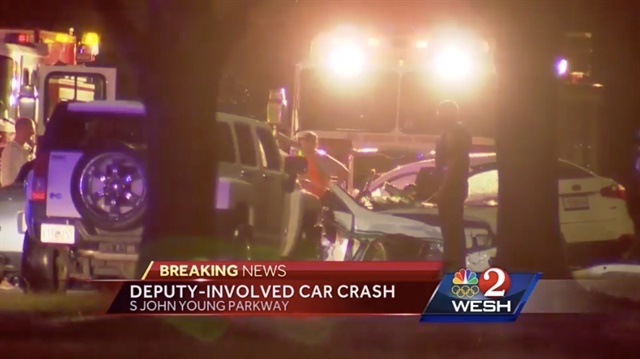 An Orange County (FL) Sheriff’s deputy and two other drivers were injured when the deputy lost control of her cruiser Saturday night, Florida Highway Patrol troopers said. The Orange County deputy was responding to a call around 8 p.m. when she lost control, crossed the median, and hit another car, troopers said. The civilian car then hit a third vehicle, WESH TV reports. Because of the damage, the deputy was trapped in the cruiser. She was seriously hurt while the other two drivers suffered minor injuries, according to the FHP.